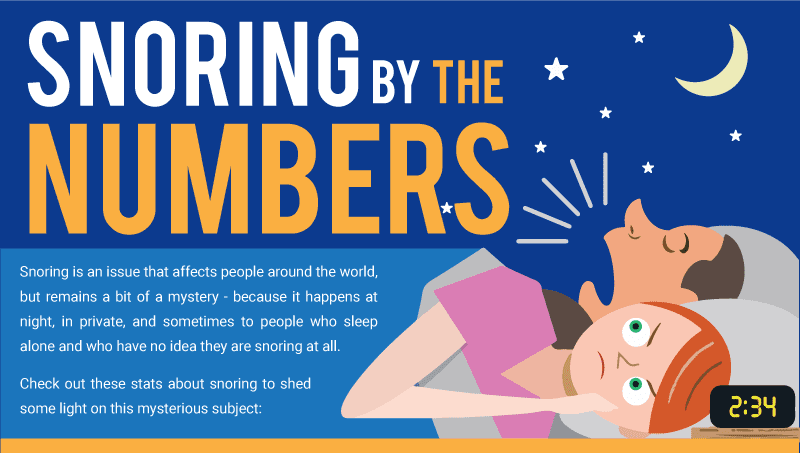 Snoring is an issue that affects people around the world, but remains a bit of a mystery – because it happens at night, in private, and sometimes to people who sleep alone and who have no idea they are snoring at all. Snoring is a serious issue that affects a majority of people based on survey data. When asked individually, about 59% of survey respondents admit to snoring. When spouses are asked if their partners snore, they say “yes” about 2/3 of the time. About 30% of people ages 30 and above are known to snore, but it jumps to 40% when you look at only middle-age individuals. As people get older, muscles become less toned and the throat actually narrows. Constricted air is much more likely to vibrate tissue in the nose and throat — a noise we call “snoring”. Studies indicate that about twice as many men snore as do women. However, the numbers start to even out after women reach menopause, perhaps due to simple aging. As noted, muscles become less toned and our air passages begin to narrow as we get older, which naturally leads to more snoring – both in men and women. Only about 5.6% of children snore regularly. Studies show that 20% to 40% of regular snorers suffer from sleep apnea. Overall, about 4% of women and about 9% of men in the general population suffer from sleep apnea. Sleep apnea demands consultation and treatment with a doctor. When you suffer from sleep apnea, you may stop breathing for dangerously long periods of time while sleeping, which can lead to death without warning. If sleep apnea is left untreated, an individual is 4 times more likely to suffer a stroke and 3 times more likely to suffer from heart disease. A CPAP mask can lower blood pressure after sleep apnea raises it, and also lower the risk of apnea-related stroke by about 20%. If you snore regularly, or if you feel overly tired during the day even after getting a full night’s sleep, it may be worth consulting with your doctor. About 50% of hypertension patients also suffer from sleep apnea. And studies reveal the same finding in reverse. About 1/2 of all sleep apnea patients also suffer from hypertension, whether or not they know it. If you have one of these conditions, ask your doctor about the other condition. These are two health issues that you want to be aware of and begin treating as soon as possible. “Spousal Arousal Syndrome” occurs when a snorer makes it harder for their spouse to fall asleep and stay asleep. Studies show that spouses of those suffering from sleep apnea lose about one hour of sleep each night, and may wake up 20+ times an hour. Sleep apnea demands treatment not only because of the risk it poses to the snorer, but because of the many ways it can also affect the quality of life of whomever you share a room with. It’s unusual for children to suffer from sleep apnea, but it’s certainly not impossible. 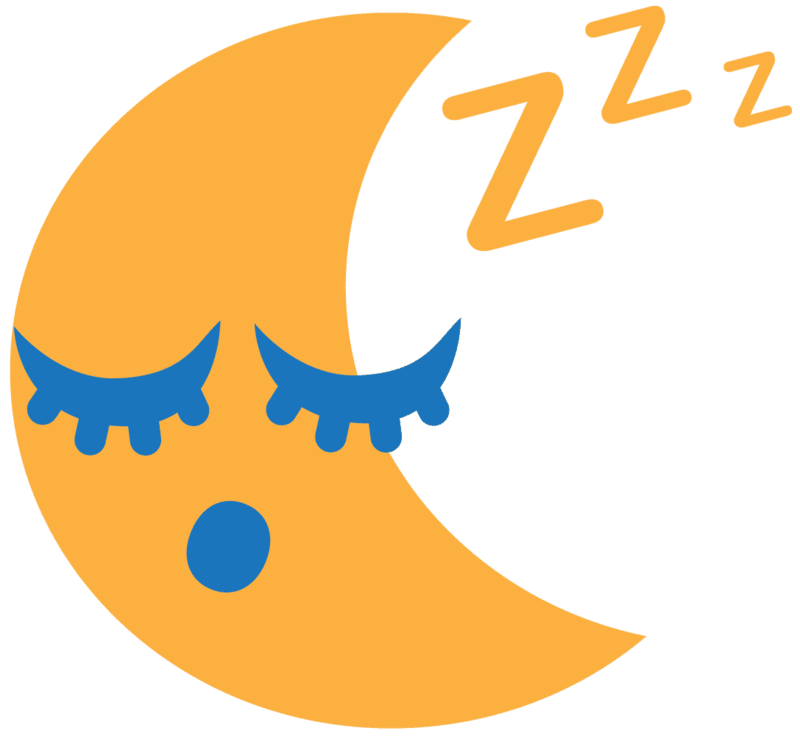 While studies vary on how often children suffer from sleep apnea, it could be as little as 1% or as high as 10%. That’s obviously a wide range, which is why this is a topic that deserves more research. When you suffer from sleep apnea, you’re often tired during the day, which can naturally lead to drowsy driving. The National Highway Traffic Safety Administration estimates that drowsy driving is responsible for 100,000+ car accidents and 1,550+ car-related deaths each year. If you have sleep apnea, seek treatment for your own health — and the health and safety of those with whom you share the road. Don’t let snoring negatively affect your life, whether it’s run-of-the-mill snoring or something more dangerous like sleep apnea. Check out tips for how to stop snoring, or visit your doctor for diagnosis and treatment ideas.